This enticing 7-night safari includes the magnificent destinations of Victoria Falls, Hwange National Park and Matusadona. 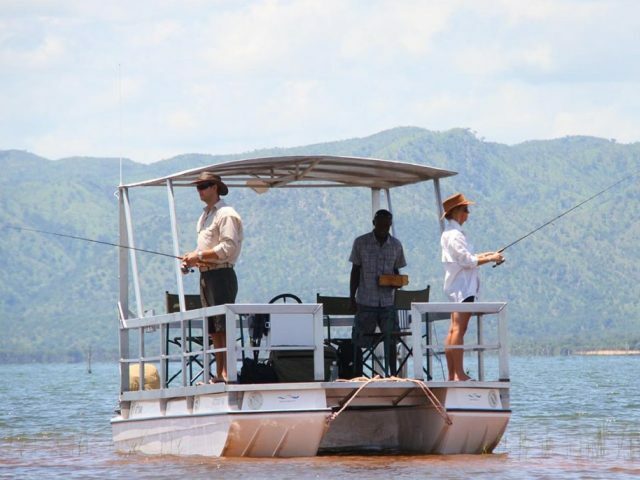 Offering a complete cross section of activities and adventure, from game viewing and the mighty Falls to sport fishing and boat cruises. 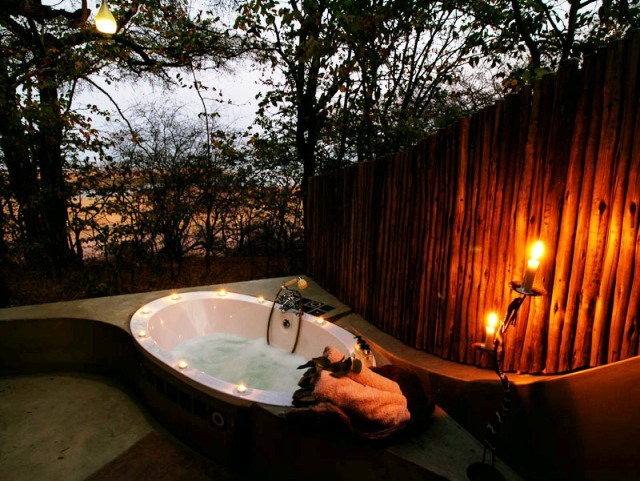 It’s a combination that is guaranteed to satisfy your safari dreams and all at a special price! 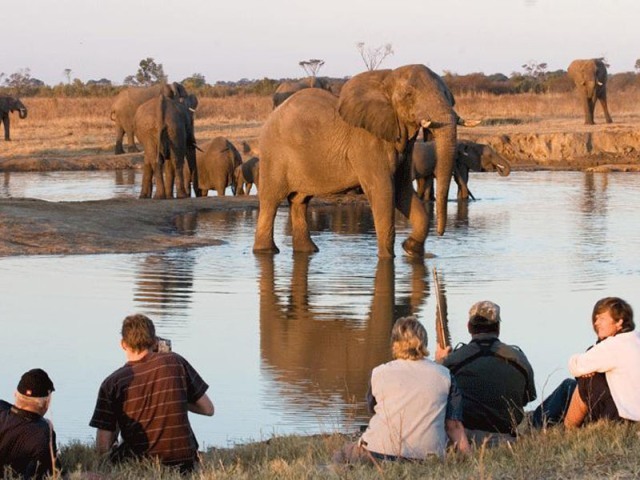 This enticing 7-night safari includes the magnificent destinations of Victoria Falls, Hwange National Park and Matusadona, offering a complete cross section of activities and adventure, from game viewing and the mighty Falls to sport fishing and boat cruises. 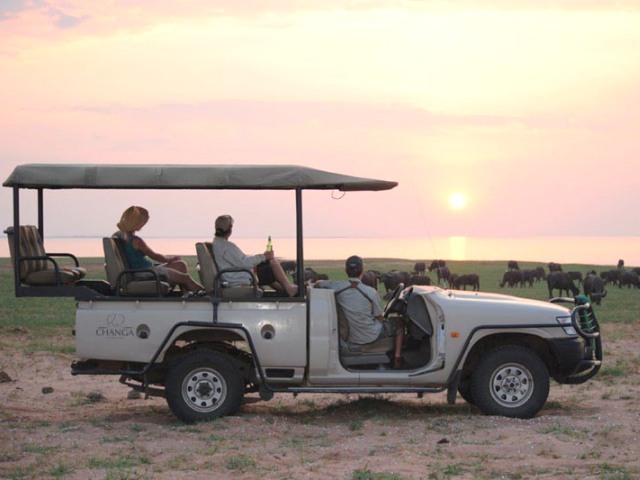 It’s a combination that is guaranteed to satisfy your safari dreams and all at a special price! Starting with two nights at Victoria Falls with its many adventure, scenic, wildlife and adrenalin activities. 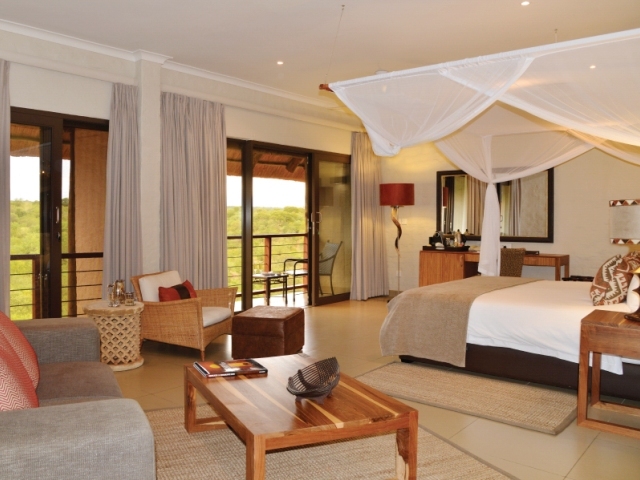 There is no better place to stay than in a club suite at the Victoria Falls Safari Club. 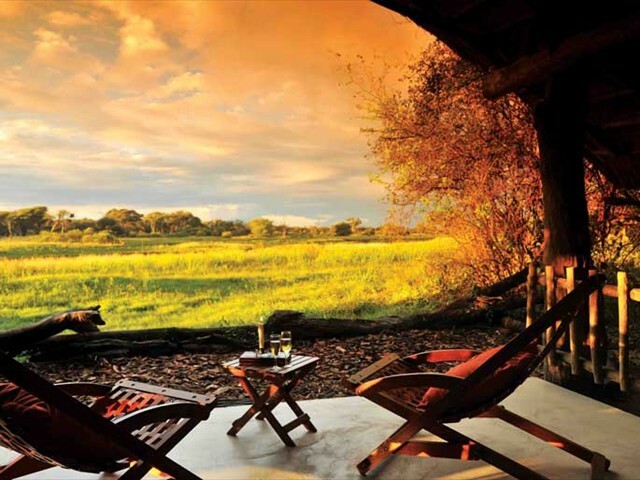 Then take a short charter flight to Hwange National Park for two more nights at the award-winning The Hide safari lodge, enjoying unforgettable safari activities with excellent safari guides on this special private game concession. 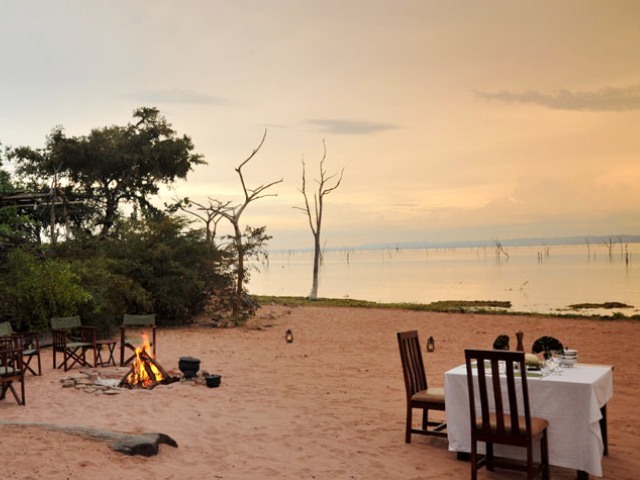 Another scenic short charter flight takes you to Changa Safari Lodge in the Matusadona National Park on the shores of Lake Kariba. 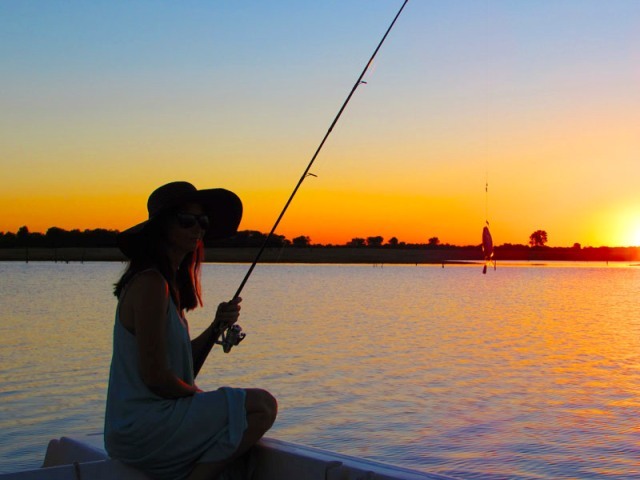 Spend the next 3 days soaking up the beautiful views that Kariba has to offer along with a wide range of land and water based activities, before flying back to Victoria Falls Airport. 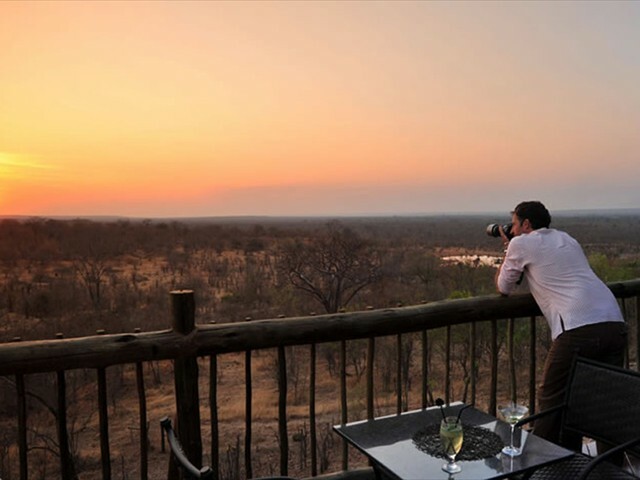 4 kms from the Victoria Falls rainforest, and situated within the magnificent grounds of the Victoria Falls Safari Lodge resort and overlooking a private waterhole, is the boutique Safari Club. 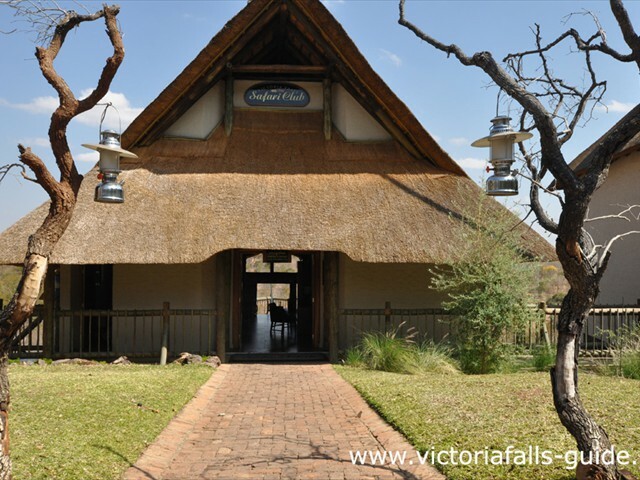 The luxurious rooms at Victoria Falls Safari Club have uninterrupted views of the unspoilt bushveld, spectacular sunsets and the waterhole. All beds are three quarter beds, which can be converted into king beds. Room facilities include: fully stocked complimentary mini bars, digital safes large enough to hold laptop computers, international multi sockets, beverage station including espresso machine, LED lighting, sliding glass doors and gauze screens to balcony, complimentary Wi-Fi and air-conditioning. The Suites offer the same as the Club Rooms but include a spacious adjacent sitting room. 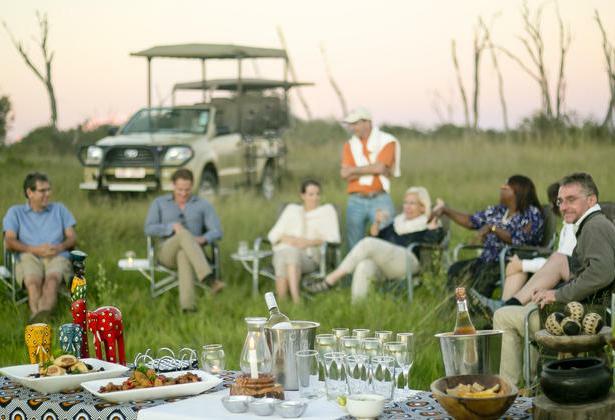 The Safari Club has its own Club Lounge with: separate welcome zone, butler service, seamless delivery, complimentary afternoon tea and pastries, complimentary sundowners and snacks. All Safari Club Residents have access to all facilities at the Victoria Falls Safari Lodge resort but no other resort residents have access to the Club wing ensuring total exclusivity. You will be met at Victoria Falls airport by one of our representatives and transferred by air-conditioned minibus to Victoria Falls Safari Club, arriving by mid-afternoon. This gives you time to settle in and relax or we recommend a sunset cruise or helicopter flight on this first afternoon. The Club Suite is divine. 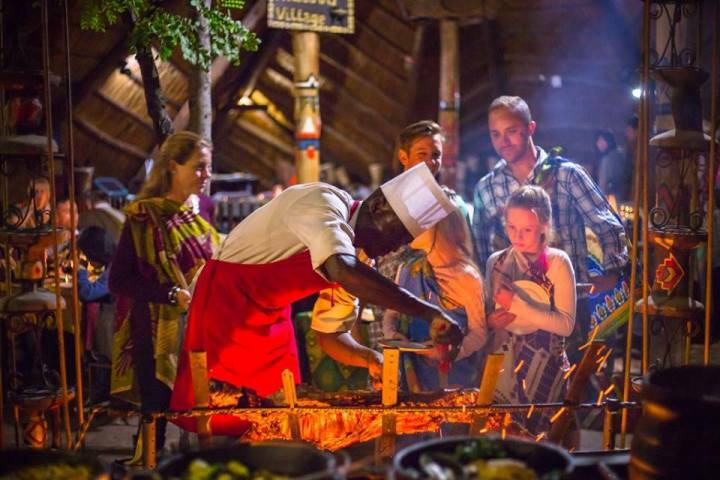 For dinner there is the award winning Makuwa-Kuwa or the very popular Boma restaurants, either of which is sure to satisfy your demands (not included). Although activities are not included in the package price, please let us help you to arrange an itinerary of activities suitable for you. Have a look at these Victoria Falls activities and discounted packages to see what is on offer. You have a full day to soak up the wonderful atmosphere of Victoria Falls, it is the adventure capital of Africa and there are activities on offer to cater for everyone’s needs. View the mighty Falls, partake in the many activities on offer or wander around the streets to do a bit of curio shopping, then finish off at a café for refreshments and a bite to eat. Please have a look at the available Victoria Falls Activities and contact us to help arrange a suitable itinerary just for you. Dinner can either be at the hotel again or we can recommend other options in and around town and on activities. A popular choice is to end the last day with a Boma Experience in the evening, situated on the grounds of Victoria Falls Safari Lodge. 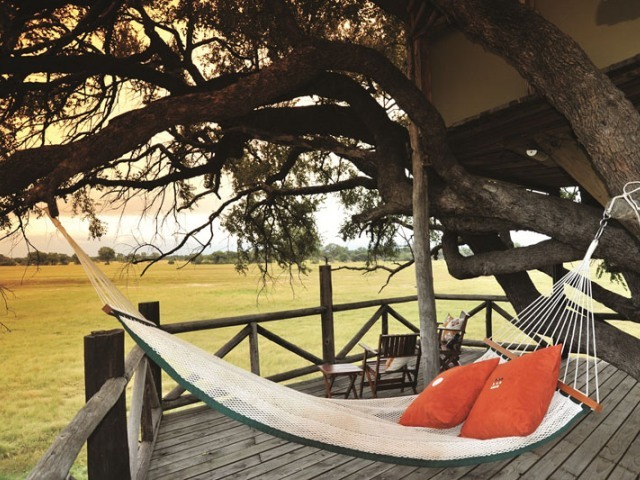 Well known and much loved, The Hide Safari Camp is situated within Hwange National Park, Zimbabwe's largest game reserve. 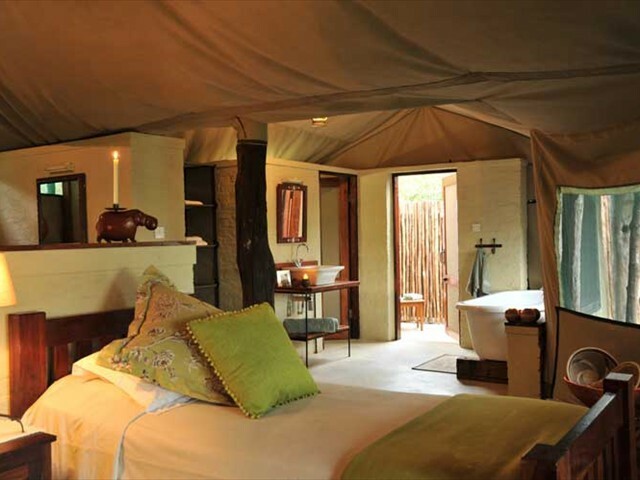 ‘The Hide’, into its third decade, accommodates up to 20 guests in well-appointed deluxe tents under thatch, all tents overlook the productive waterhole. 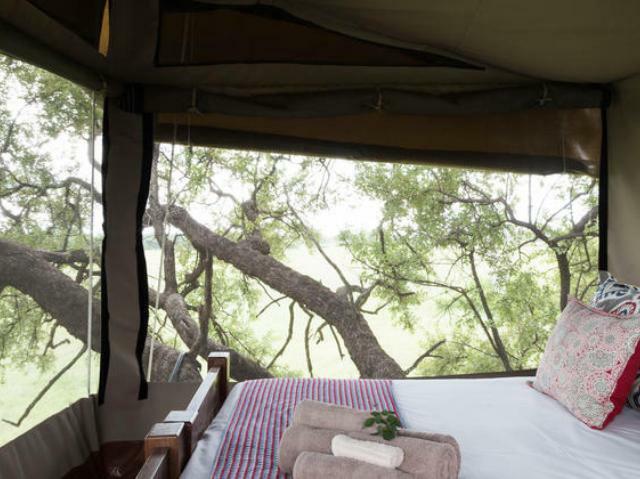 Tents have en-suite facilities that include outdoor showers and bath tubs. Up to 4 game activities per day, bush walks, day and night drives, ‘hide’ sits including our new underground tunnel to one hide. Enjoy a “sleep-out” in the romantic Dove’s Nest. 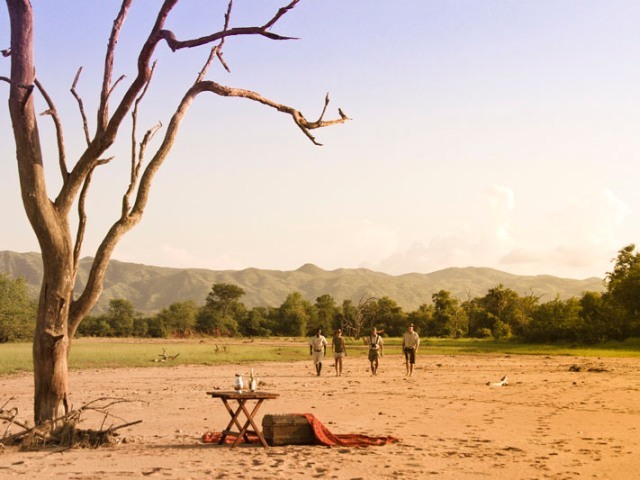 The Hide is a very personal camp with friendly staff and experienced guides. 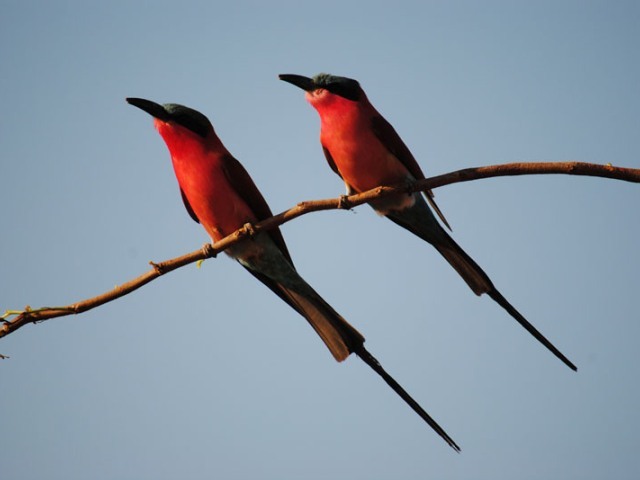 There is time for breakfast and an early morning activity before transferring to Victoria Falls airport around mid-morning for your charter flight to The Hide in Hwange National Park. This scenic flight takes about 45 minutes followed by a short game drive to camp. 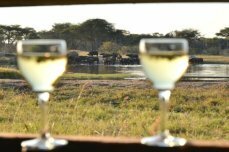 The Hide has a variety of game viewing activities, details of which can be seen in the Activities Info below. Arrange your schedule with the lodge managers onsite, tailored to your individual needs. 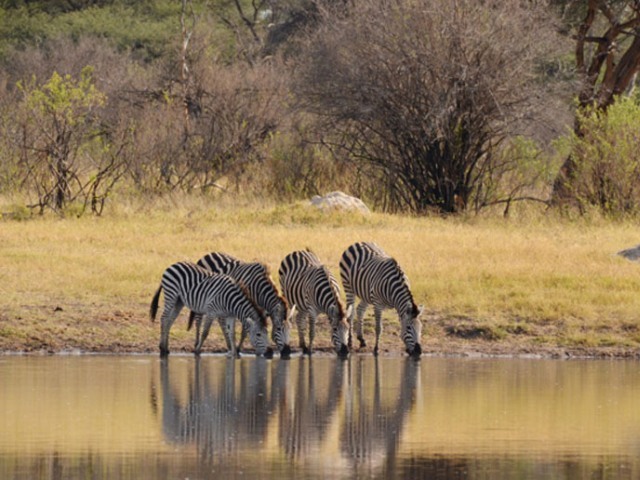 One of the most appealing qualities of this camp is the waterhole in front of the camp. 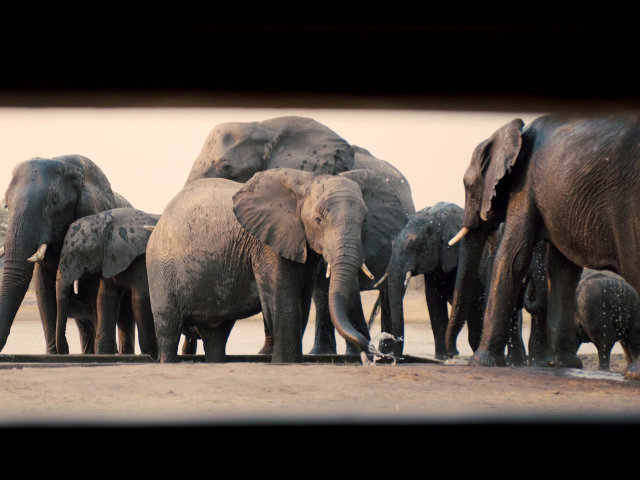 You don’t actually need to go anywhere as the game comes to you and the hides that they have created, which have such easy access means that you can be watching game all day long. A delicious dinner is served around a giant teak table, after which gather around the fire pit and exchange stories with some of the other guests at the lodge. 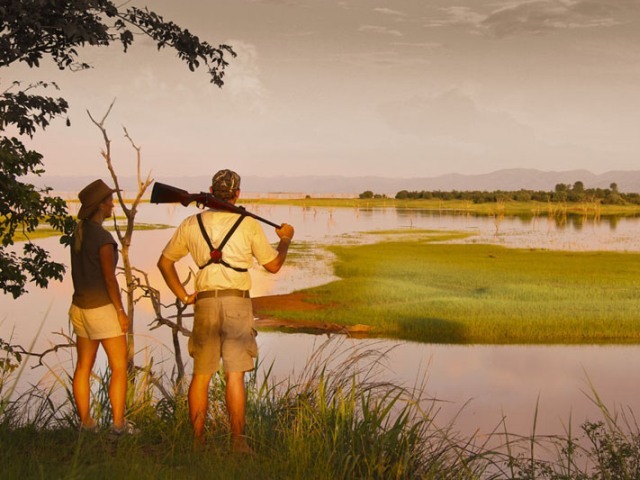 One full day of game viewing activities at The Hide, tailor-made to suit your needs and influenced by what the wildlife at the time of your visit is doing. Up to 4 game viewing activities per day are included in the rate so you can overdose on wildlife if you wish. Relaxing in the onsite underground hide for me is one of the most rewarding activities you can do. 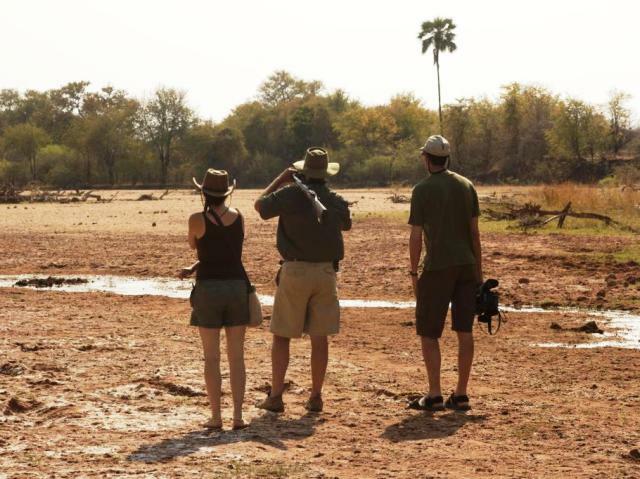 Morning and afternoon guided walks are offered at The Hide Safari Camp. 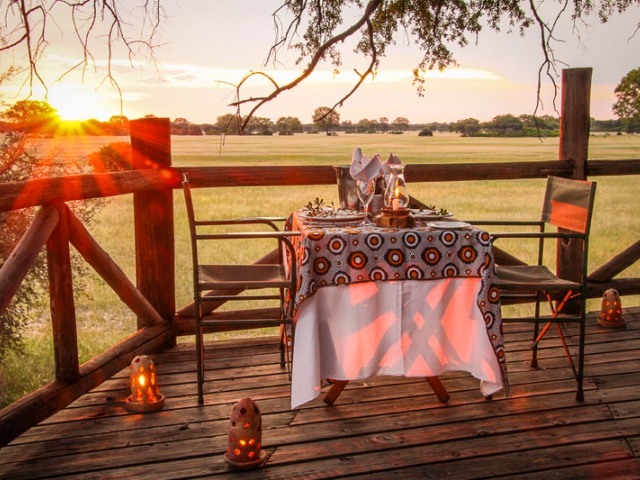 The camp is fortunate to have the best of both worlds - while located within the Hwange National Park, it is also surrounded by a private concession which allows us to offer activities not otherwise permitted. Hwange is a vast playground worth exploring so you don’t have to worry about being bored. Early morning walks are there for the thrill of encountering wildlife on its own terms and exploring the little surprises of the bush. 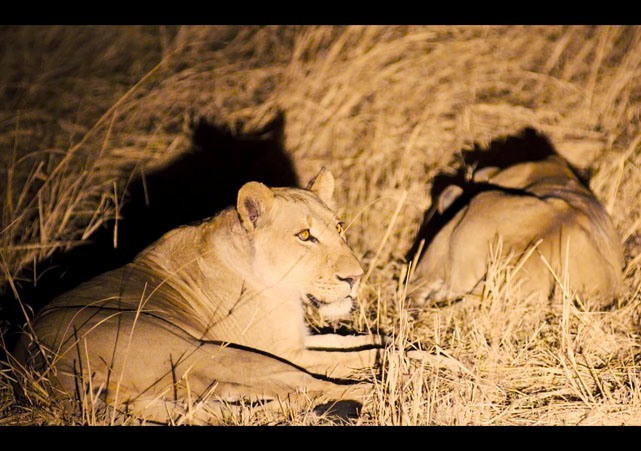 Morning and afternoon game drives as well as night drives with a spotlight are offered at The Hide Safari Camp. 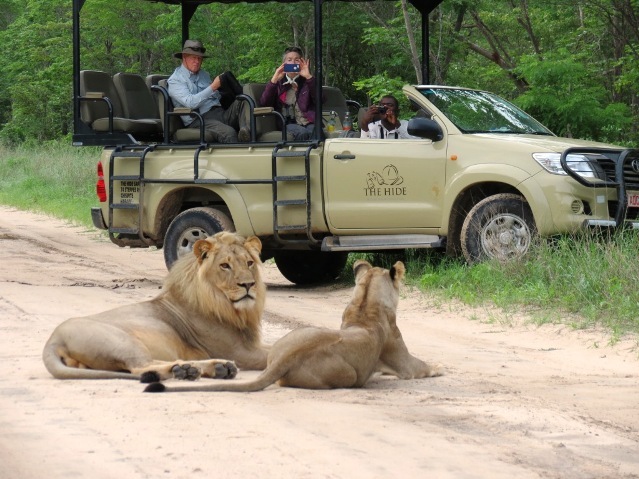 Days can be spent further afield on game drives in search of predators and prey alike. 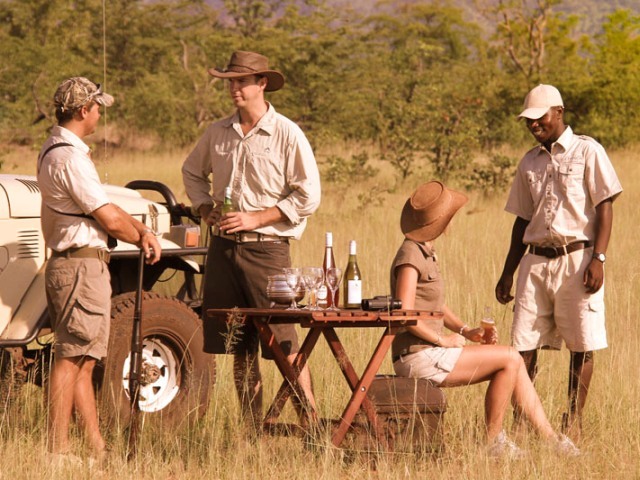 Sundowners are an important part of the experience. Enjoy the natural beauty with a cold drink in hand. 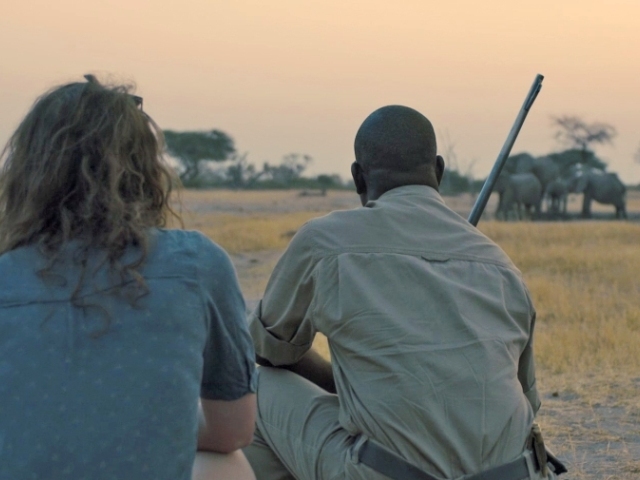 The guides at The Hide are very much part of the family and have been with the camp for many years. They have undergone some of the most rigorous training in Africa and their passion for and knowledge of the bush is often what makes a safaris so special. 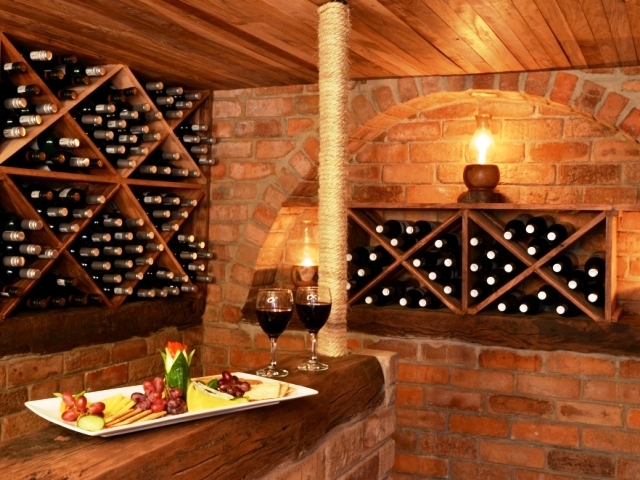 The Dove’s Nest, is just about the best way to get away from it all. There are few things more exciting than spending a night out in a tree house. Overlooking the open tree-lined vlei and pan, this rustic gem is a perfect vantage point from which to view wildlife safely, quietly. Just the two of you. Kept simple, as a tree house should be, the bedroom of the Dove’s Nest is reached by a wooden stairway and with a closable door. You won’t have to forego your hot shower and warm bed and the location is second to none. 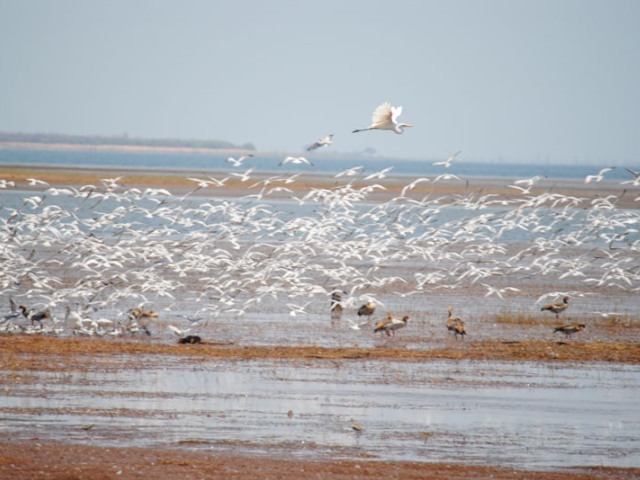 Matusadona National Park is situated on the shores of Lake Kariba but was proclaimed a non-hunting area on 7 November 1958 before the dam was built. It became a Game Reserve in 1963, and in 1975, in terms of the Parks & Wildlife Act, it became a National Park. The Park comprises some 1 400 square kilometres of diverse flora and fauna. Before the lake was built, Matusadona was a vast, rugged wilderness with limited access. With the lake came ecological changes. One in particular, the lakeshore contributed greatly to the increase of large mammal populations in the area, especially elephant and buffalo. The grass found on the shoreline is Panicum repens and is a rejuvenative grass - needing only fluctuating lake levels to replenish its nutrients. With this ready food source, buffalo, waterbuck, zebra, and even impala have thrived and with them the predators. Matusadona is an Intensive Protection Zone (IPZ) and home to several relocated rhinoceros. 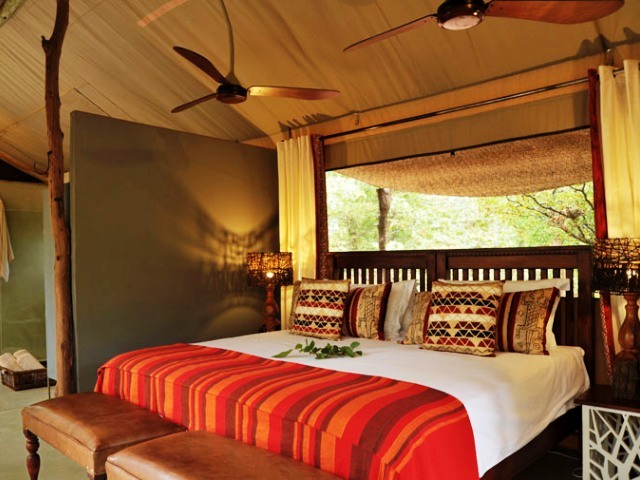 Accommodation at Changa consists of luxury tented suites each individually displaying truly unique African influences, from rustic wood, leather and weavery, against crisp white linen and locally made furniture. Styled with complete comfort in mind each tent has en-suite facilities and “under the stars” outside shower and bath. Whether you choose to relax in the comfort of your tent or enjoy spectacular lake vistas from your own private veranda you will be reminded time and again of the endless beauty around you. You have a bit of time to visit the underground hide and view the early visitors at the waterhole, or possibly it’s time for a lie in. After breakfast you will be transferred to a nearby airstrip, for your 1hr 25-minute flight to Fothergill airstrip in Kariba. Then a short road and boat transfer takes you into Changa Safari Camp, where you will check in and have something some lunch. 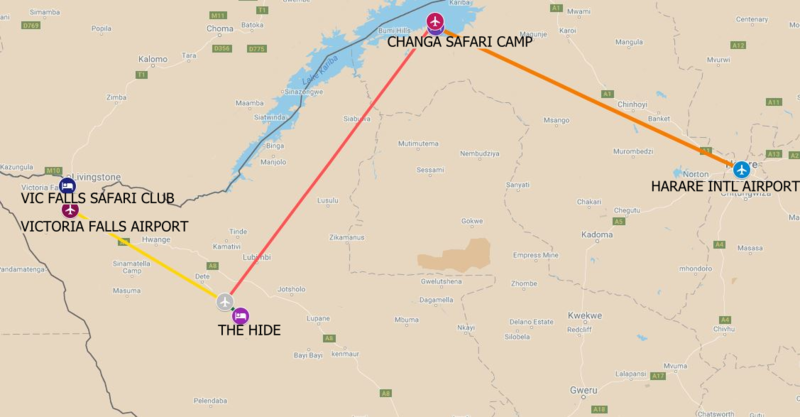 Changa has a wide variety of water and land based activities, details of which can be seen in the Activities Info below. If you are keen on fishing, then you are in the right place as Kariba is renowned for its excellent tiger fishing. Arrange your schedule with the lodge managers onsite, tailored to your individual needs. A delicious 3 course dinner is served in the main dining area but private dinners can also be arranged. 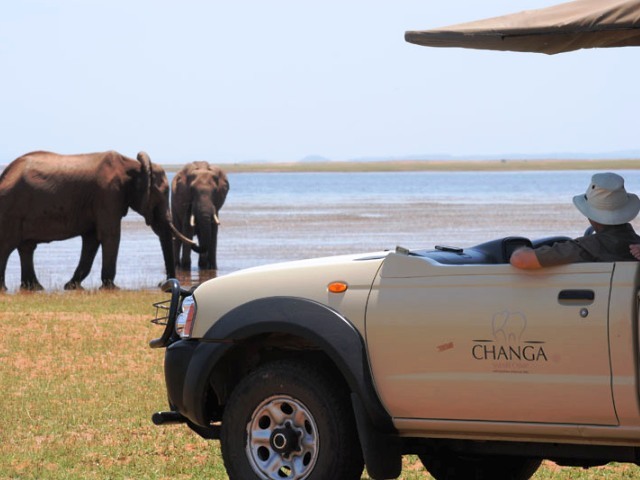 Two full days of activities at Changa, tailor-made to suit your needs and influenced by what the wildlife at the time of your visit is doing. The range of activity options is quite something and each day brings with it excitement and adventure - you won’t want to leave. Sadly, this is your last day. After breakfast you will be transferred to the airstrip for your 1hr 40-minute flight to Victoria Falls Airport for your onward arrangements. 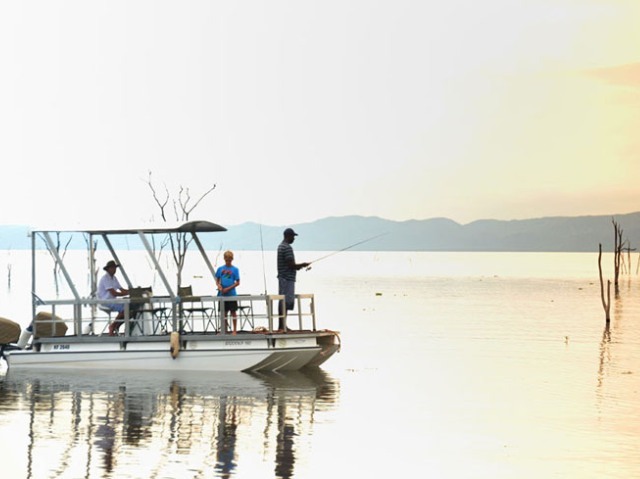 Kariba is a fisherman’s paradise! Why not try your hand at fighting the renowned Tiger Fish for which people from all over the world return time and time again to catch. Alternatively, bream fishing is always a pleasure and one's daily catch can be returned to you 'a la' snacks. 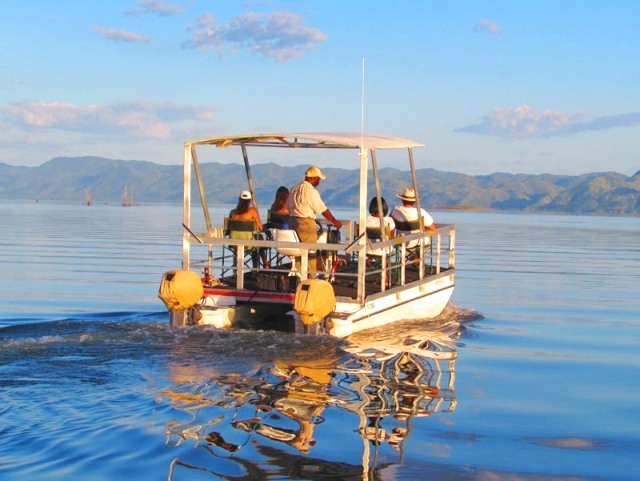 Climb on board the pontoon boat and, together with our guide, you can explore the multitude of bays and river inlets where the birdlife is prolific and elephants and antelope abound. At the end of the day, enjoy a refreshing 'sundowner' whilst you marvel at the unequalled beauty of a famous Lake Kariba sunset. Although not plentiful in numbers, some predators, including lion, leopard, hyena and cheetah, as well as the more common elephant, buffalo and antelope species can be seen in the Changa Safari Camp and Matusadona surrounds. Hippos and crocodiles are abundant in the cool waters. If you are very lucky, you may catch a glimpse of the last remaining Black Rhinos. 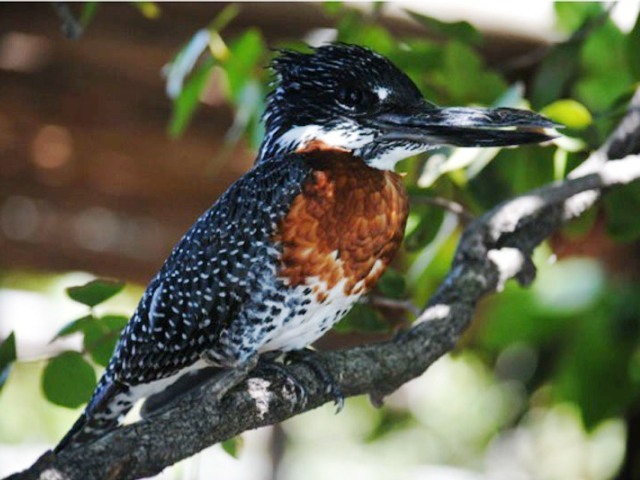 Birdlife is prolific: 350 species have been identified in the area.